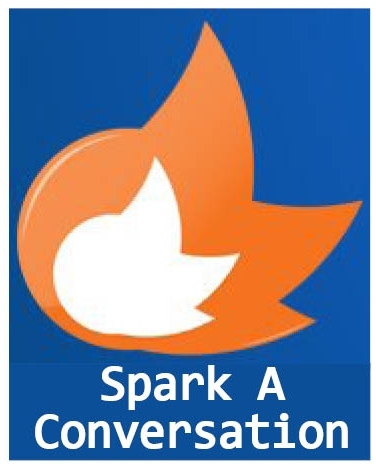 Spark A Conversation: Video Interviewing for the Technology Impaired? Great question, Anne! In any office, there are bound to be different comfort levels when it comes to utilizing technology. While you might be ready, willing, and able to really jump onto the online video interview bandwagon, some of your coworkers might not feel the same way. It’s important for the whole team to get involved, even the less tech-savvy of the bunch. 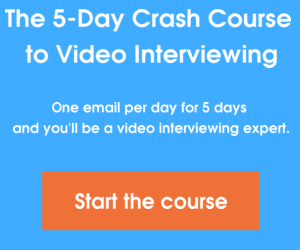 For this, you’ll need to make sure everyone knows how to use the video interview software. Thankfully, Spark Hire‘s video interview platform is exceedingly easy to use, even for those not steeped in technology. Because Spark Hire exists in the cloud, there is no complicated video interview software to install and run. Instead, team members just log into the site and start watching video interviews and resumes from anywhere, at any time. It’s a concept both the tech-obsessed and tech-phobic can easily grasp. There are plenty of technical aspects to using online interviews in your hiring process. You can use online video to connect with candidates on social media and through job boards. However, for the less technologically gifted in your office, focus on the most important aspects of video interviewing. Help coworkers who are unsure of technology to see that video interviewing is simple when you just focus on getting to know candidates. Instead of asking these technology-averse workers to learn how to integrate a video interview into the company’s social media recruitment plan, focus on getting them up and running performing live video interviews and one-way video interviews. We all have our strengths, and perhaps their strength lies in connecting with talented candidates, not using the newest technology. It’s likely your tech-shy team members would prefer to meet candidates in person because this is the way it’s always been done. Help your team understand the similarities of video interviewing and traditional interviewing. Sure there are plenty of differences, like being able to interview across great distances and saving both time and money. But for your less enthusiastic team members, stress the similarities to traditional interviews. You still get to see candidates “face to face”, despite utilizing online video. You still get to speak with candidates and evaluate their communication skills and experience. Most importantly, you still get to connect with candidates and see whether they will make a good fit for the company culture and organizational values. The easiest way to get all team members on board with video interviewing, despite their specific comfort levels with technology, is to get your team collaborating. With video interviewing, it’s easy to collaborate with the whole team and share notes and impressions on all job seekers. Just because someone on your team isn’t plugged in, doesn’t mean you can’t get them to understand the value a video interview can bring to your hiring process. Just stress the similarities and ease of the process, and you’ll be able to get these team members on board and hitting the play button on a great candidate.